Al’s Contracting (a division of 848875 Alberta Ltd.) was started in 1999 in the Lac La Biche area by Allan and Jackie Przysiezny (pronounced: Pre-zez-nee). The company began with one Caterpillar D6, followed a few months later with a water truck. Early on they provided support service to the oil & gas companies doing early exploration work in the oilsands areas around Conklin and Fort McMurray, Alberta. Both Allan and wife Jackie are of Metis heritage and the company maintains one of the highest percentages of Aboriginal worker content in Alberta, which we are proud of and continues to this day! While being a local, family-owned Aboriginal contractor has helped Al’s Contracting in procuring some of their new work and customers, their exceptional growth is also attributed to their impeccable record of safety, quality work and efficient production. Truly one of the first “SQP” cultures in Alberta. Al’s Contracting safety and service culture has evolved into being second to none. 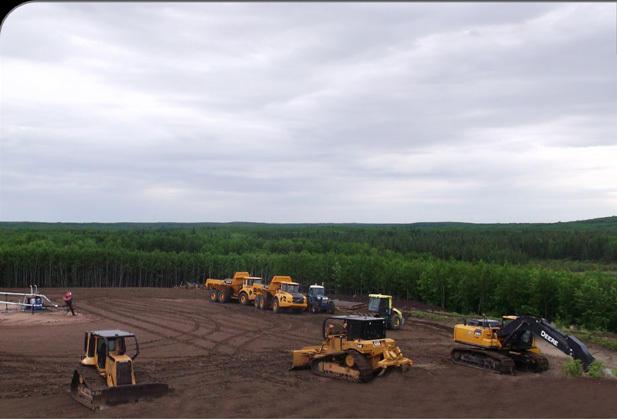 Over the past 16 years the company has developed, in the words of one major energy firm, “a trust-based relationship” which has resulted in many of the major oilsands SAGD operators/developers calling only on Al’s Contracting for advice in pre-planning and service in final execution of intricate work plans. 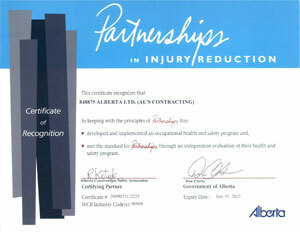 Many of Al’s Contracting clients are oilsands and SAGD energy companies, however, forestry companies, pipeline operators, land developers, county and municipal government, and many departments of the Government of Alberta, including SRD, Environment and Transportation all count on Al’s Contracting for safe, quality, efficient SERVICE! Al's Contracting is pleased to announce that we are now Selling and Hauling Sand and Gravel from our four Pits in the Conklin area. What unique Northeastern Alberta challenge project can we help you with?